Jailed former prime minister Nawaz Sharif's Pakistan Muslim League-Nawaz (PML-N) won 58 seats and was leading in four constituencies while Pakistan Peoples Party (PPP) led by former president Asif Ali Zardari won 37 seats and was leading in six seats according to the latest unofficial results. Pakistan's National Assembly comprises a total of 342 members, of which 272 are directly elected whereas the rest - 60 seats reserved for women and 10 for religious minorities - are selected later through proportional representation among parties with more than five per cent of the vote. A party can only form the government if it manages to clinch 172 seats in total. "After a 22-year-long struggle, the almighty God has finally given me the chance to implement the manifesto I had dreamed up over two decades ago," Khan, 65, said in his first public address after the polls. 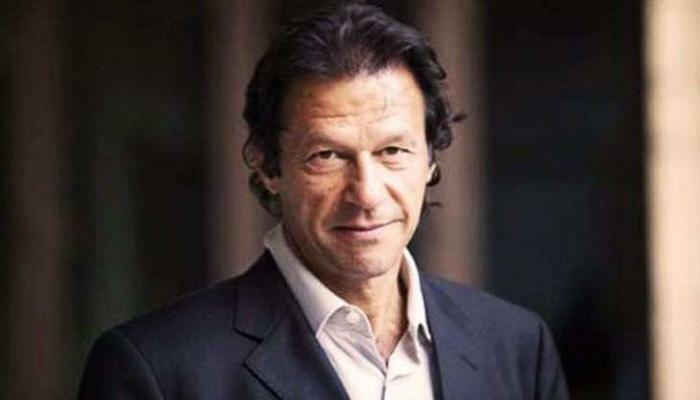 In his speech that was broadcast live via video link, Khan promised to make Pakistan's institutions stronger under which everyone will be held accountable. "First, I will be subjected to accountability, then my ministers and so on. Today we are behind (other countries) because there is a separate system for those in power and a separate one for ordinary citizens," Khan said as he promised to end the VIP culture and convert the existing PM House into an educational institution. He also vowed to improve the governance and over come the economic challenges faced by Pakistan. Khan, who is set to be the next prime minister, said Pakistan is ready to improve its ties with India and his government would like the leaders of the two sides to resolve all disputes, including the "core issue" of Kashmir, through talks. "If they take one step towards us, we will take two, but at least (we) need a start," Khan said, asserting that the blame game between the two neighbours, detrimental to the sub-continent, should stop. His speech came as two main parties - PML-N and PPP - raised questions on the transparency of the vote counting process, alleging their polling agents were not allowed to verify vote counts as is mandated by law. PML-N chief Shehbaz Sharif, who was the prime ministerial candidate of his party after the jailing of his brother Nawaz Sharif in a corruption case, rejected the election results, alleging "blatant" rigging. He did not say who he believes could have rigged the polls, but allegations of manipulating the elections have been made against the country's influential military. Awami National Party, Muttahida Qaumi Movement-Pakistan, Pak-Sarzameen Party, Muttahida Majlas-i-Amal and Tehreek-i-Labbaik Pakistan also alleged that their polling agents were either ousted of the polling stations at the time of counting or denied certified results by the polling staff. "Some five other parties including the PPP have raised the rigging issue in polls. After consulting them, I will announce the future course of action. Pakistan has suffered today," Sharif said. He has convened a meeting with other parties to discuss the issue and formulate a common strategy. "We will fight this injustice and use all options," he said, adding that there has been a "blatant violation" of the mandate. Bilawal Bhutto also raised questions over the credibility of the election commission. "24 hours & ECP cant give me lyari and larkana results. Can't explain discrepancies or delays," the top PPP leader tweeted. The ECP has rejected the "blatant" rigging allegations. In an unusual pre-dawn press conference, Chief Election Commissioner Muhammad Raza Khan acknowledged that the delay in announcement of election results has "caused some annoyance". Asked about the doubts and the allegations, he said: "We will prove ourselves that we did our job right." "These elections were fair and we have not received any complaint. If anyone has proof, we will take action," he asserted. Elections were also held for four provincial assemblies - Punjab, Sindh, Balochistan and Khyber-Pakhtunkhwa. The provincial trends showed that the PML-N was leading in 123 seats in Punjab followed by the PTI with 122 seats in the provincial assembly of 299 members. Independents were leading in 27 seats. In Sindh, the PPP was heading towards a two-thirds majority in its traditional bastion. The party was leading in 72 seats according to the latest trends available for 113 of the provincial assembly's 131 seats. In Khyber-Pakhtunkhwa, the PTI was heading towards a two-thirds majority with its candidates leading in 67 seats. The KP assembly has 99 seats. Balochistan was heading towards a hung assembly. Balochistan Awami Party was ahead in 12 seats while MMA was leading in 9. Balochistan National Party was leading in 8 seats. The election marks the second democratic transition of power in the nation's 70-year history. The military has ruled Pakistan through various coups for nearly half of the country's history since independence in 1947. The run up to the elections had seen a massive crackdown on the media and allegations that the military has secretly backed the campaign of Khan while targeting his political opponents.